The term “silver bullet” gets tossed around a lot, but cancer vaccines are just that. Unlike the flu vaccines that we’re familiar with, cancer vaccines are slightly different in that they don’t just seek to prevent cancers from forming. In many cases, these vaccines also treat tumors already within the body. What unites cancer vaccines is this: these agents, ranging from chemicals to DNA-like molecules to cells, all give the immune system a boost so that it better recognizes and attacks cancer cells. To Dr. Ronald Levy, an oncologist at Stanford University, cancer immunotherapy is the way to go. You may have heard of some of these treatments already. CAR-T, which genetically enhances a patient’s immune cells to better target cancers, was approved last year to treat certain types of blood cancers. “All of these immunotherapy advances are changing medical practice,” he says. And a tidal wave is coming. Just this month, two studies explored completely new ways to shock the immune system back into action. 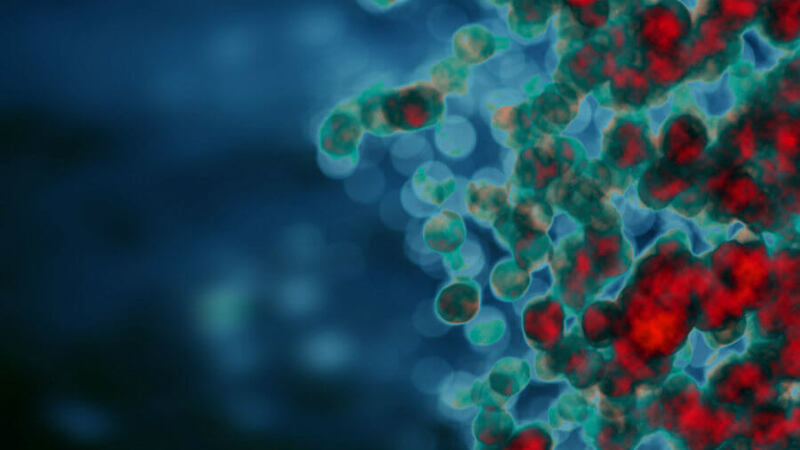 The first, a Stanford study published in Cell Stem Cell, surprisingly found that induced pluripotent stem cells (iPSCs) from a patient can “train” the immune system into attacking or preventing tumors in mice. The second, led by Levy and published in Science Advances, found a simple, ready-to-use system to boost immune T cells. By injecting two molecules directly into solid tumors, they reinvigorated confused T cells, transforming them into super soldiers that wiped out both local cancer cells and those that have already spread. The best thing? These approaches aren’t mutually exclusive. 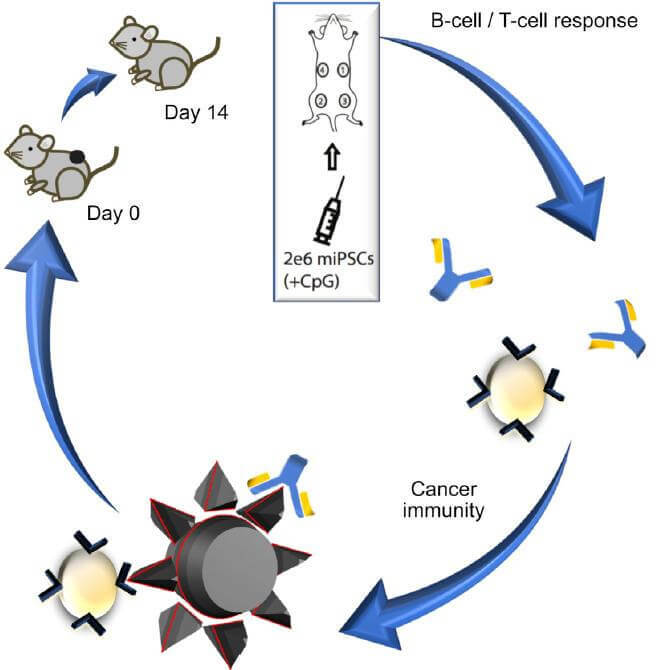 We could envision a treatment regime whereby a patient first receives a personalized iPSC cancer vaccine, followed by a universal “booster shot” that further enhances T cell efficacy. “I’m very excited about the future possibilities,”says Wu. Cancer cells exist in a sort of limbo. When they first begin to mutate, swapping normal surface proteins with cancerous ones, it throws the immune system into red alert. T cells perk up, infiltrate into the tumor mass and begin sweeping the area clean of the dangerous mutants. Yet at some point, cancer cells fight back. They learn to invade the T cell’s surveillance system, or even figure out ways to keep those immune soldiers from doing their jobs. The thing is, it takes a while for rookie T cells to realize that something’s awry. Trained soldiers are another story—these guys spring into action, beating back cancers before they have a chance to grow. What if we could take “naïve” T cells to boot camp? In one early study, a team identified proteins on melanoma cells (a common, but deadly type of skin cancer) that were specific to the cancer. These cells came from tumors surgically removed from patients who were at high risk of recurrence. The team synthesized molecules that resembled these melanoma markers and injected them back into the patients to “train” their immune systems. 25 months later, four out of six treated patients remained cancer free—a small win, but a huge proof-of-concept for the field. But the approach has a drawback: it requires complex computer algorithms to tease out which markers to use as bait, and making them from scratch is expensive. In a surprising twist, Wu and colleagues found another Trojan horse draped in cancer-like markers on its surface—iPSCs. By comparing the gene expression profiles of cancer and iPSCs, the team found remarkable similarities, suggesting that the two cell types may share surface markers that could act as “red flags” to the immune system. In fact, iPSCs can often form a type of tumor called teratomas when injected into mice, and like cancer cells, they’re free from growth restrictions normally built into healthy, adult cells. To see if iPSCs can act as a vaccine, the team injected mice with four doses of iPSCs over a month. These cells were converted from the mice’s own skin cells and irradiated to prevent them from forming teratomas. Like most cancer therapies, the team also added a generic immune-stimulating chemical to the cells, which by itself had no observable effect. The mice were then transplanted with mouse breast cancer cells. One week later, the saline control group developed large, dramatic tumors at the injection site. In contrast, 70 percent of the vaccinated mice slowed tumor growth, while two completely beat back the cancer. They lived cancer-free for over a year. “Once activated, the immune system is on alert to target cancers as they develop throughout the body,”says study author Nigel Kooreman, adding that the technique is especially powerful because we can simultaneously “train” the immune system on multiple types of cancer markers. But what if the cancer had already formed? Levy’s new (relatively) cheap-and-easy vaccine uses two molecules to reboot T cells snoozing inside cancer cells back into action. The first is a short piece of DNA dubbed a CpG oligonucleotide. It’s like installing a turbo on a diesel engine—the molecule causes T cells to up their expression of a molecule called OX40 (the turbo). The second shot is like giving fuel to the new engine. The shot contains a molecule that binds OX40, which causes T cells to rev their engines to a full roar. The vaccine worked shocking well in mice transplanted with lymphoma tumors at two places in their bodies. In 87 out of 90 mice, a three-dose treatment at one site eliminated cancer cells from both locations. Similarly, transplanted mouse breast, colon, and melanoma tumors were also beaten back with the vaccine. The shot also worked for animals genetically engineered to spontaneously develop breast cancer, wiping out cancer cells both at the site of injection and those that sprung up further away. What’s more, the shot lowered the chance of the animals developing future tumors, and boosted their survival rate. At 15 weeks after the shot, roughly 80 percent of the vaccinated animals survived, whereas all those in the control group perished. Even more incredibly, the team found that the treatment was extremely specific. T cells reinvigorated to attack lymphoma cells did not harm colon cancer cells or other normal cells. This is likely because the drugs only activate T cells already present inside the injected tumor—in other words, T cells capable of recognizing and infiltrating a specific type of cancer cell. Unlike previous cancer immunotherapies, Levy’s vaccine is extremely elegant in its simplicity. It doesn’t need to identify cancer markers specific for each patient, or customize each patient’s T cells as in CAR-T. Even better: both molecules in the vaccine are already approved individually for human use. Levy is now recruiting about 15 patients with lymphoma to test the therapy. If it works, patients with multiple tumors could receive a shot and let the vaccine do the work. Surgeons in the future could inoculate a patient before removing the tumor tissue to ward off against the cancer springing back to life. There are limitations. A big one: the vaccine currently only targets solid tumors. For now, it doesn’t work on blood cancers such as leukemia. Still, cancers beware. All those with sleeper T cells buried within are now potentially in the firing line. “I don’t think there’s a limit to the type of tumor we could potentially treat,” says Levy.